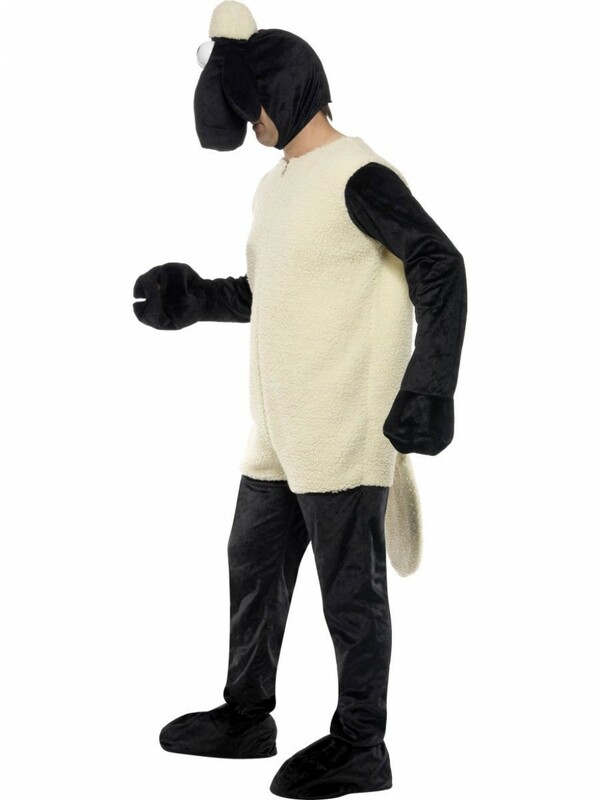 This bahhh-rilliant Shaun the Sheep Costume is perfect for TV/Character themed fancy dress occasions! Included in this outfit are Jumpsuit and Headpiece. 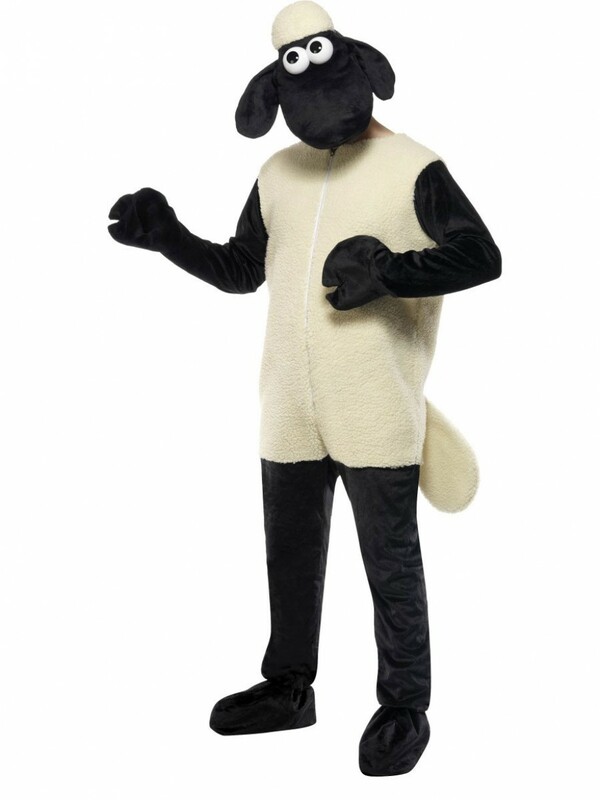 Impress fellow party-goers with this licenced Shaun the Sheep Costume, perfect for TV themes or Children’s birthday parties. This costume includes Jumpsuit and Headpiece. A truly deluxe outfit; this Shaun the Sheep Costume has a cream-coloured woolly design which zips at the front. 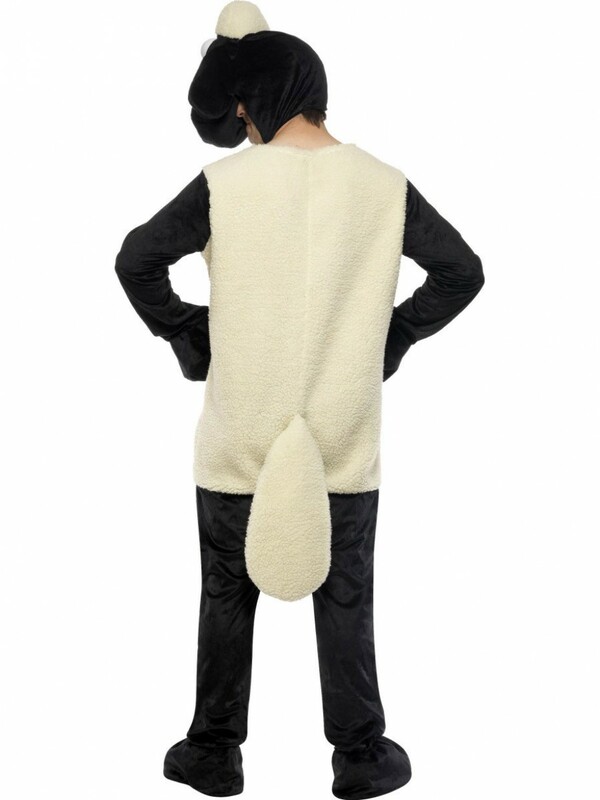 The black arms and legs are also in a soft woolly material, whilst the back of this great costume has a flopped tail. Also included in this brilliant costume is a big headpiece with a black face, big googly eyes and a cream top. This fun Shaun the Sheep Costume is the perfect outfit for a Children’s party or a Comedy themed fancy dress occasion! Shaun the Sheep including Jumpsuit and Headpiece.